Squirrels are small, furry mammals, typically with a bushy tail. They vary in color from brown to gray to red depending on the species. Flying squirrels are nocturnal, while other species who reside in Virginia are most active during the day. What does a Squirrel eat? Squirrels primarily eat nuts, seeds, tree bark, various other plants and sometimes insects. Squirrels can enter into attics and garages to nest and store food if they have access. They are capable of chewing holes in the sides of buildings that are large enough for them to enter through, and may cause other gnawing damage around the yard. Squirrels are attracted to bird feeders because of the bird seed. When squirrels are present in your attic, you will know it! They are typically very noisy. Signs that you may have a squirrel infestation include: damage to wood or insulation, damage to bird feeders and garden plants, small holes dug in the yard, and the appearance of squirrels disappearing into chimneys or small holes in buildings. Getting rid of squirrels from your attic, garage or yard can be challenging. There are things you can do to modify the habitat in your yard to deter squirrels from taking up residence. 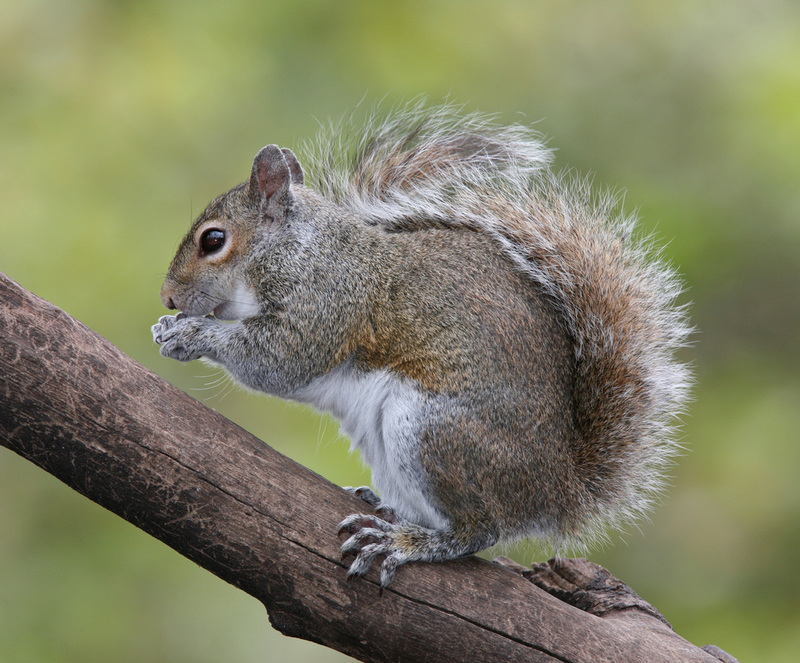 Remove tree limbs that are close to the house to prevent squirrels from jumping onto your roof. Reduce the number of nuts and seeds in your yard by removing or regulating bird feeders. Use mesh fences around gardens and cover any holes which may be an entry point with wire mesh. You can also use traps and one way doors, but the use of these items is best left to a professional trapper. Click here to learn about a dreaded insect, the Termite!